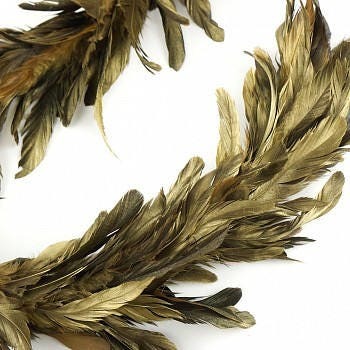 This decorative Gilded Metallic Gold Feather Garland is made with dyed black Rooster Schlappen feathers that have been gilded with gold paint to give it an elegant, but modern look. 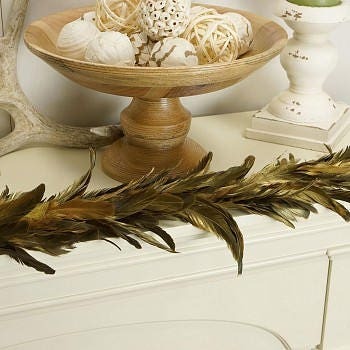 It measures 50"" long and is approx 4-5 inches in diameter with a jute loop chord that makes it easy to hang. 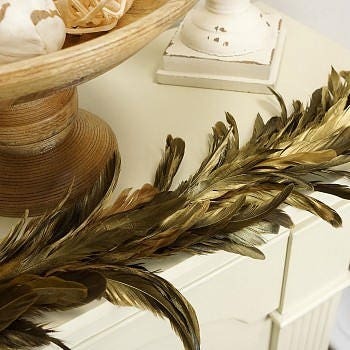 The feathers are soft and pliable also making it easy to wrap around a stairwell banister or pole. 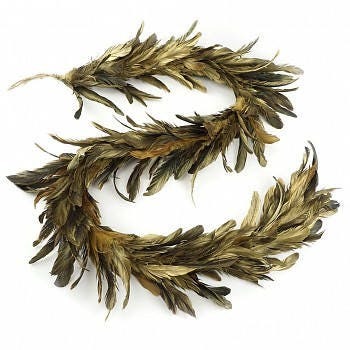 SIZE: 50" long Our products are made with natural materials; therefore each item will have unique differences and variances.